I’m a good citizen, the police are only interested in going after real criminals. Learn more about the truth behind common DUI myths! Many Mesa residents believe this misconception, and are shocked when they find themselves charged with a DUI. The truth is that DUI is considered a crime just like any other crime. 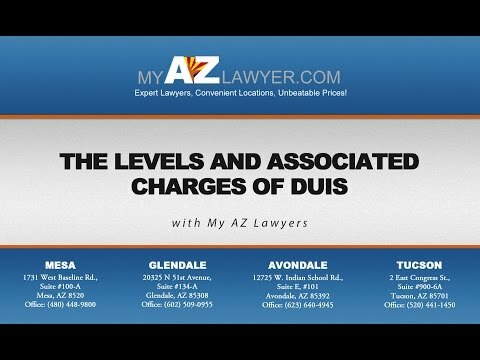 It doesn’t matter what your station is in life or how many good deeds you have accomplished, Arizona is notoriously tough on DUIs, so if you find yourself charged with a DUI you should consult a Mesa DUI lawyer. Since I am a law abiding citizen, and this is the first time I have ever been charged with DUI, it shouldn’t be a big deal. Definitely wrong. Even a first time DUI is a serious offense, classified as a class I misdemeanor. A first DUI offense comes with mandatory jail time, fines up to $2500 plus court cost and possibly years of probation in addition to a driver’s license suspension. Don’t take a DUI charge lightly, contact a Mesa DUI lawyer for counsel. Since I was drinking and driving I may as well plead guilty and save the time and expense of hiring a DUI lawyer. If you go to court without an attorney and simply plead guilty, chances are you will be sentenced to the jail time, fines and license suspension that are the legal penalty for DUI. The law is not simple, and the consequences for the exact same offense can vary greatly between one person and another. An attorney who specializes in DUI is knowledgeable about numerous factors, such as traffic laws, probable cause and whether evidence was legally obtained. Often these factors can make it possible to have the charges reduced or completely dismissed. Having the right attorney can make a great deal of difference. A DUI is only a misdemeanor unless someone is seriously injured or killed. You can be charged with a felony DUI if you are driving under the influence with a child under 15 years of age in the vehicle. You can also be charged with a felony DUI if you are driving on a restricted, suspended or revoked license, or if you have been ordered to use an ignition interlock device and are caught driving without it. If you are convicted of DUI three times within a seven year period this will also result in a felony. The truth is every DUI is serious. If you have been charged with a DUI, a conviction can affect every area of your life including your family, finances and employment. Don’t take chances with your future. The DUI attorneys at My AZ Lawyers have sought out additional education after law school and have extensive experience in their field. Choosing a skillful DUI attorney can give you the best possible chance for the best possible outcome in your case. Contact us today before you talk to anybody else.